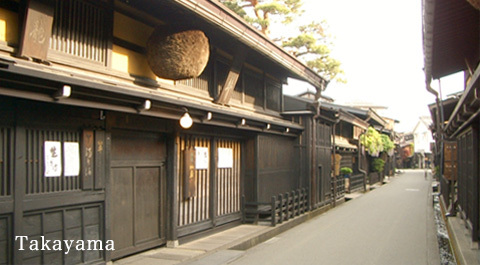 Here are some popular sightseeing spots to explore near to Grandia Housen. A spectacular series of steep, rocky cliffs that stretch for about a kilometer along the coast. 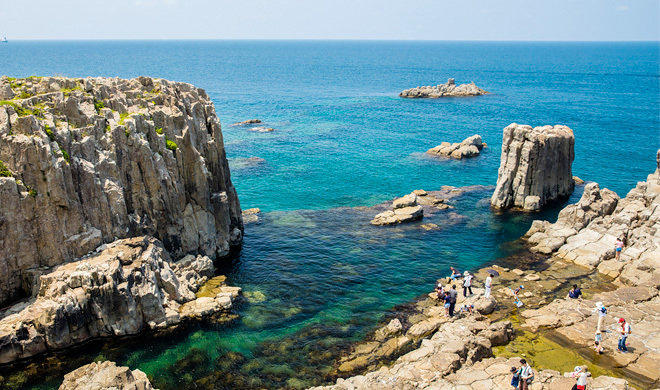 These giant, pillar-shaped rocks are a unique geological formation that can only be seen in a couple of other spots in the world, and nowhere else in Japan. Formed of pyroxene andesite, the volcanic rocks are important from a geological point of view, and designated as a Japanese natural monument. 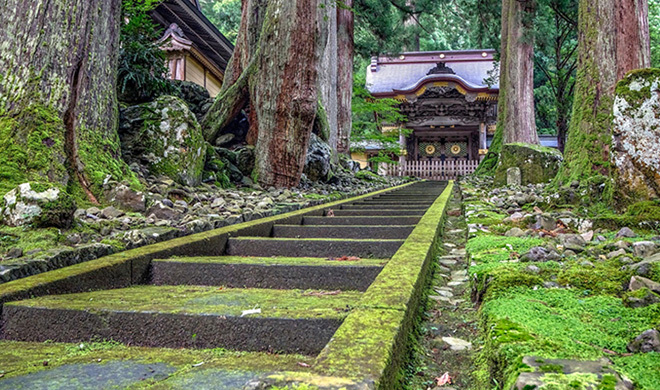 An important temple of Zen Buddhism, founded in 1244 by Dogen, the Buddhist scholar who brought Soto Zen to Japan from China. 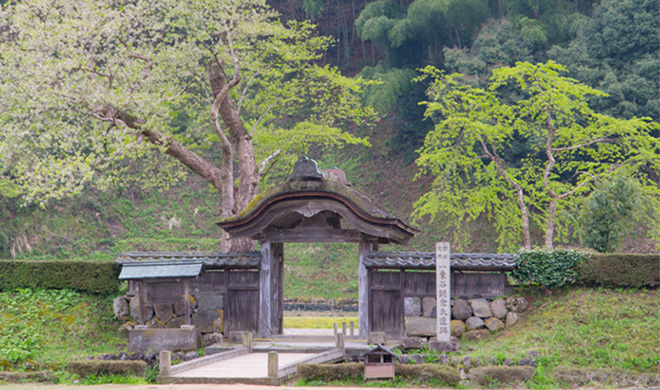 It is one of the head temples of the Soto Sect of Zen Buddhism. 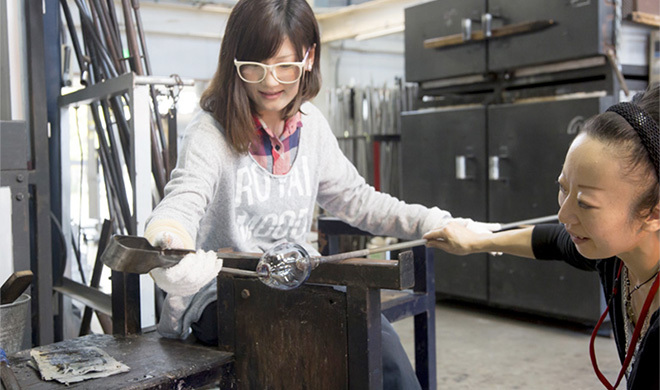 The main facility was set up to display and introduce creative artworks, and visitors also have the chance for hands-on experiences of creative arts such as glass-blowing, ceramics, and fabric dyeing, all set in the middle of nature. From this former castle town, the Asakura clan ruled over the whole of Echizen for 103 years (1471-1573) during the Sengoku period of civil war. The Japanese gardens contained within have been officially designated as National Places of Scenic Beauty. 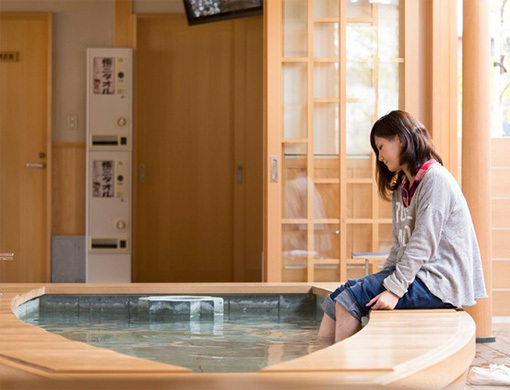 The structure is made entirely of the finest Japanese cedar, making this a premium foot bath in the Hokuriku region. 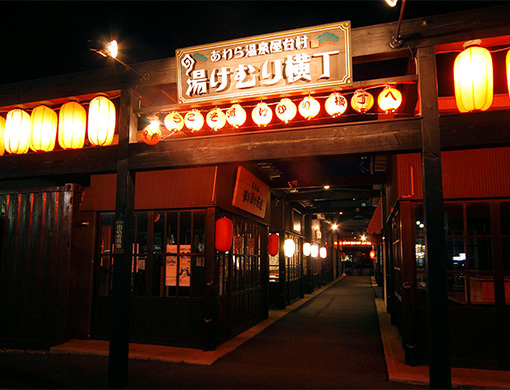 Created to feel like a Taisho era building, and featuring stained-glass windows, there are 5 different footbaths for visitors to enjoy. Awara Onsen Food-Stall Village "Yukemuri-Yokocho"
Yukemuri-Yokocho is located in front of the rotary outside Awara-Yunomachi Station (Echizen Railway), and features a street of small food establishments created to encourage interaction with local people and consumption of local produce. Please enjoy a selection of tasty dishes in a friendly atmosphere. 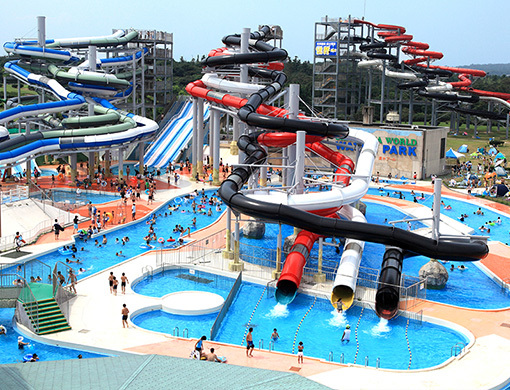 A huge, 100 hectare leisure complex set adjacent to a national park, Shibamasa World has been featured in the Guinness Book of Records and has all kinds of entertainment, including a putter golf course, a water park with huge slides, a fully-equipped campsite, and more! Fukui Prefectural Children's Science Museum Angel Land Fukui is a large, immersive children's center that combines a science museum, culture hall, and play area under one roof. 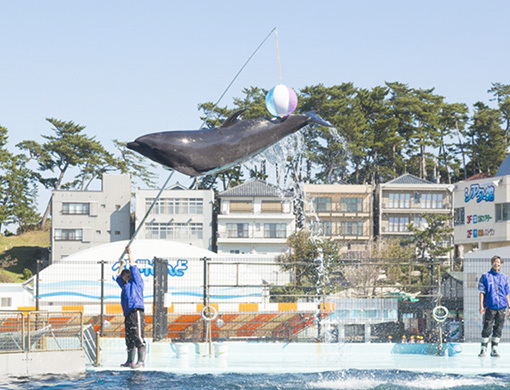 Here you can view about 300 kinds of sea creatures and living things from the deep, mysterious ocean. 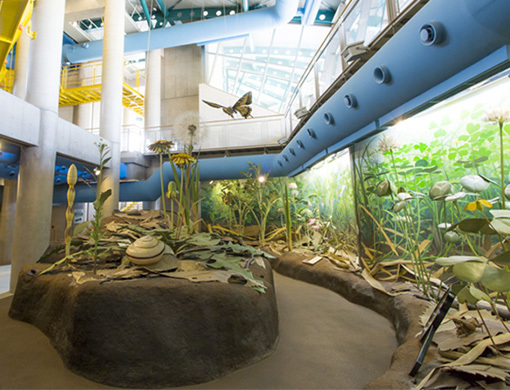 There are several fun interactive items to keep visitors entertained, as well as a bird zone, planetarium, dolphin show, and more. 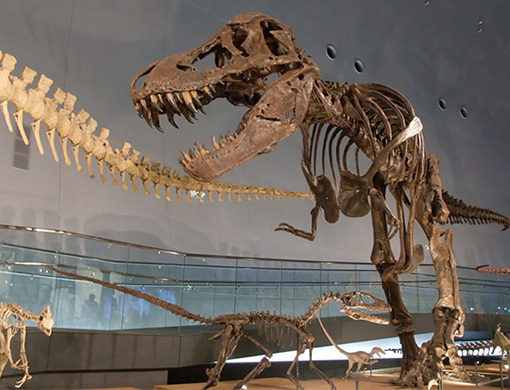 A large dinosaur museum and dinosaur fossil research facility, that allows visitors of all ages to enjoy learning about dinosaurs in a hands-on environment. An educational and fun day out for the whole family! 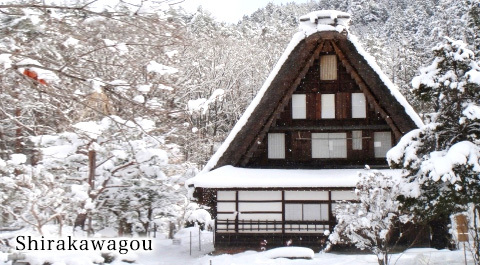 It is recommended to take a sightseeing trip out to Hida-Takayama. *This is an express bus operated by Hokuriku Railway Co., Ltd. You cannot get on or off at Awara Onsen. Please catch it from JR Kanazawa Station.